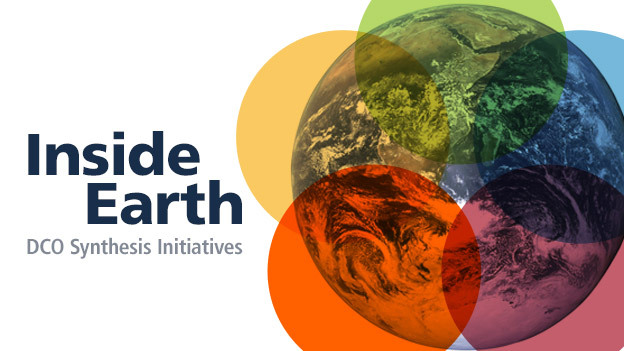 Visit "Inside Earth," a new area of the DCO website featuring synthesis initiatives. These projects are integrating what DCO scientists have learned over a decade of discovery. Two recent papers by DCO colleagues contain important new results on fluid-rock interactions in Earth’s deep interior. Ding Pan and Giulia Galli challenge conventional assumptions about the speciation of carbon in aqueous fluids. Their paper in Science Advances, “The fate of carbon dioxide in water-rich fluids under extreme conditions,” may have significant implications for reservoirs and fluxes of deep carbon. Matthieu Galvez, James Connolly, and Craig Manning provide “a perspective on the controlling reactions that have coupled metal and volatile cycles in subduction zones for more than 3 billion years.” Their paper in Nature is accompanied by a News and Views article that says, “This transforms our view of global geochemical transport.” Both papers benefit from the Deep Earth Water Model developed by Dimitri Sverjensky and an international group of DCO collaborators. The DCO Executive Committee, Synthesis Group 2019, and Task Force 2020 convened a joint meeting in Paris to develop plans for integrating and synthesizing scientific research by the end of the DCO decadal program in 2019 and to explore opportunities for building on DCO’s legacy in 2020 and beyond. The DCO Synthesis Hub, which launched shortly after the meeting, illustrates exciting opportunities for making the whole greater that the sum of its parts. A large contingent of DCO researchers will participate in the AGU Fall Meeting on 12-16 December 2016 in San Francisco, USA. A day-by-day listing will help you find sessions, talks, and posters of interest to DCO scientists, as well as those featuring members of the DCO Science Network. To add items to this listing, please contact the DCO Engagement Team. To receive daily updates from DCO during the meeting, containing information about deep carbon science sessions, talks, and posters, please sign up here. If you're attending the meeting, please mark your calendars and join us at poster session V33C: Deep Carbon: From the Mantle to the Surface and Back Again for a poster "flashmob." Details to follow. DCO Scientists Featured in Nova Series "Treasures of the Earth"
The distribution of minerals on Earth, Mars, and other worlds mimics social networks, as commonly applied to such varied topics as Facebook interactions, the spread of disease, and terrorism networks. Applying network analysis to common rocks, such as granite and basalt, reveals patterns of cohesion, segregation, density, and cliques that are similar to those of human social networks. These patterns provide new insights into the way planets evolve, especially the co-evolving geosphere and biosphere. Network analysis also offers promising new pedagogical approaches to teaching mineralogy and petrology. In this public lecture, delivered on 15 November 2016 at the Carnegie Institution for Science, USA, DCO's Executive Director Robert Hazen talks about insights gained from his work in "Big-Data Mineralogy." D/V Chikyu arrived at the Kochi New Port at 9:00 am on 11 November 2016, thus concluding the offshore work as part of IODP Expedition 370. It has been 56 days since the onshore team joined IODP Expedition 370. We only have four days left to finish our onshore work! View DCO sessions, talks, and posters of interest here. Sign up to receive daily updates during the meeting here. Goldschmidt is the foremost annual, international conference on geochemistry and related subjects.